MEDLIFE2018 has been successfully held during Dec. 15-17, 2018 at Holiday Inn Xi’an Big Goose Pagoda. Scholars and researchers from related research fields at home and abroad have participated in the conference. During the conference, all the participants actively showed their insights into the conference themes and freely exchanged their ideas and experiences. After the conference, they also joined the interesting tourism well-prepared by the Organizing Committee. Hereby, we extend our sincere gratitude to all the scholars and researchers for their attendance and great support to this conference. MEDLIFE2019 will be held in Hangzhou, China in 2019. Welcome your participation. 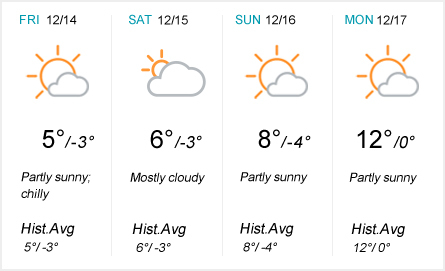 The following is the weather forecast of Xi’an, China during the Conference, which will be updated regularly. Life Sciences: Bio-engineering, Agriculture, Biomechanics, Biomedical Research, Biotechnology, Cell Biology, Epidemiology, Genetics, Microbiology, Molecular Biology, Neurobiology, Biomedical Science, etc. © 2015-2018 4th International Conference on Health, Medicine and Life Sciences - All rights reserved.